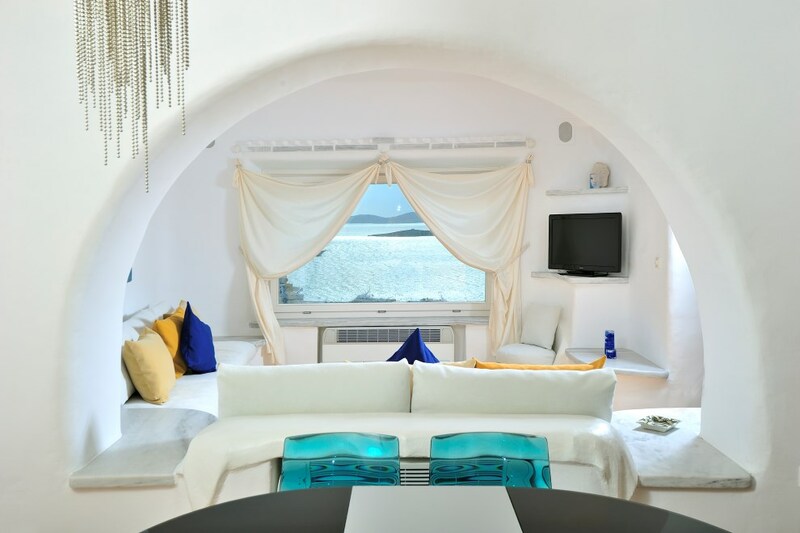 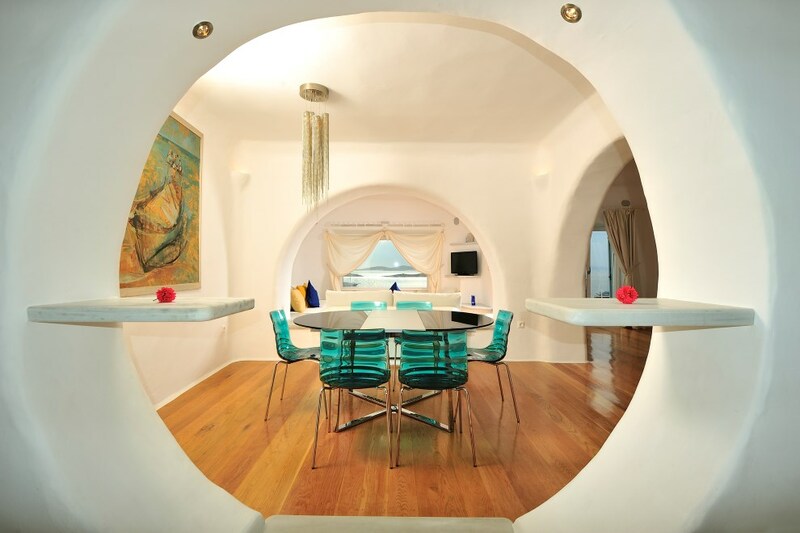 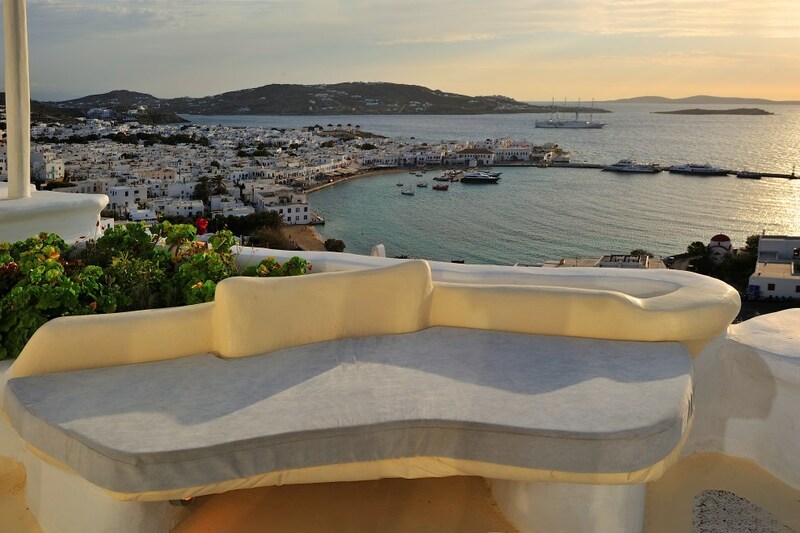 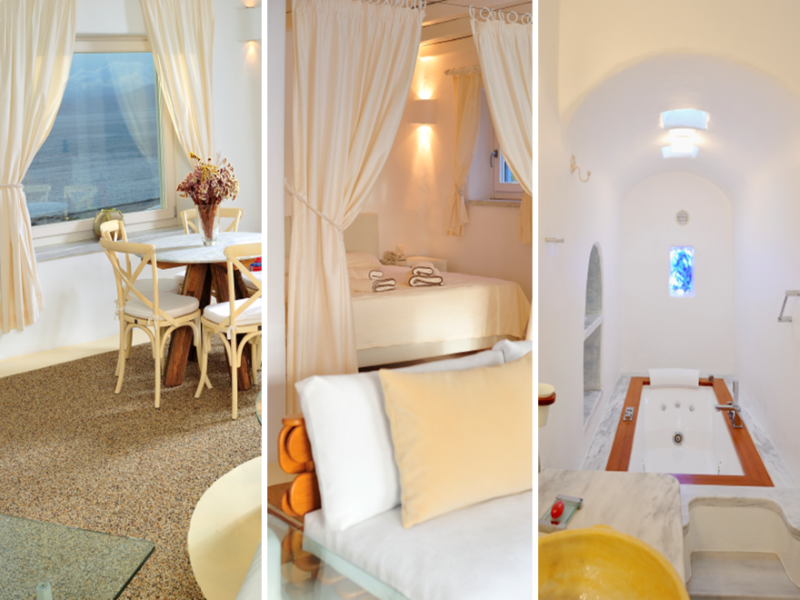 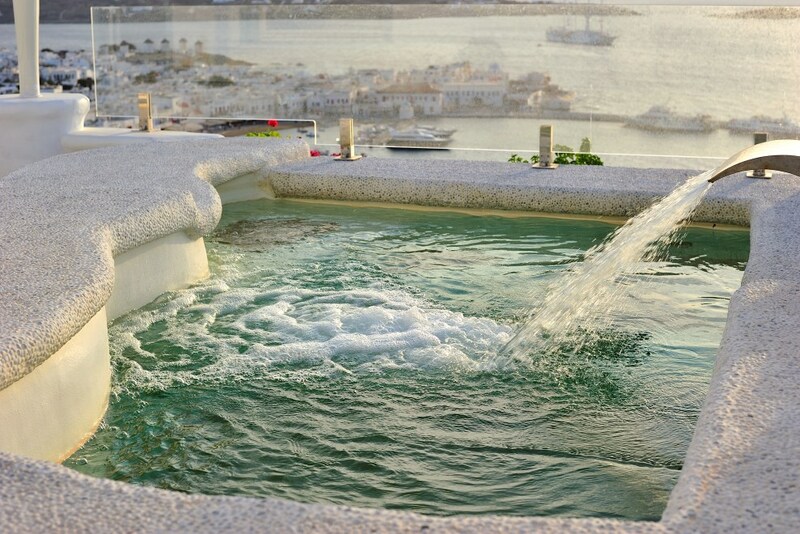 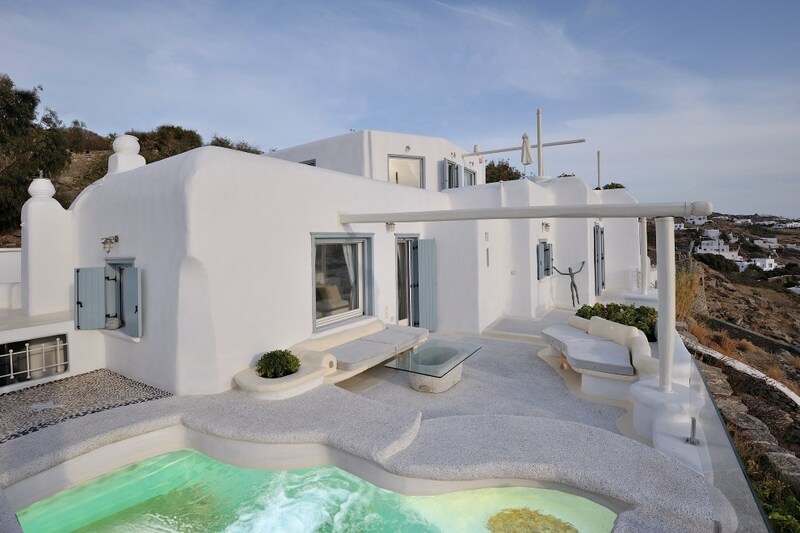 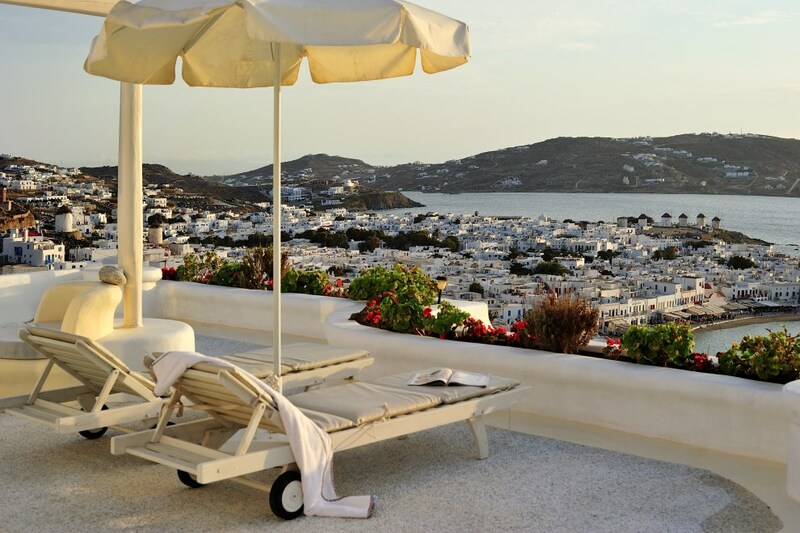 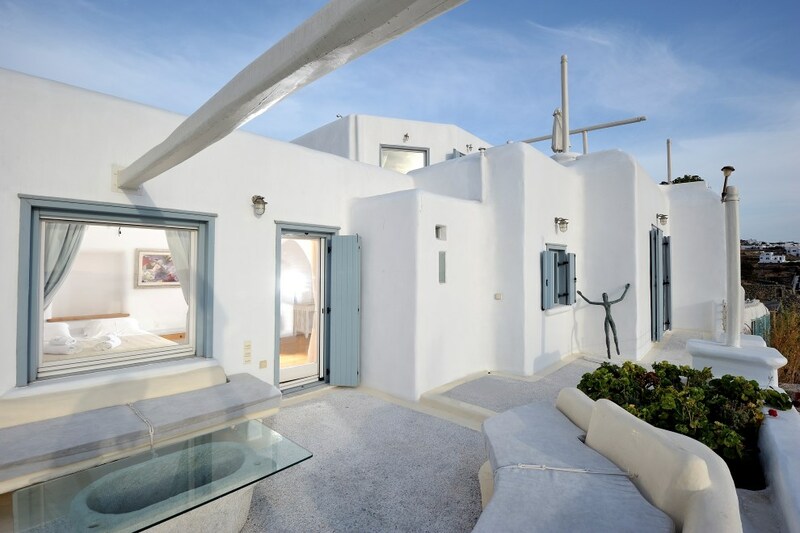 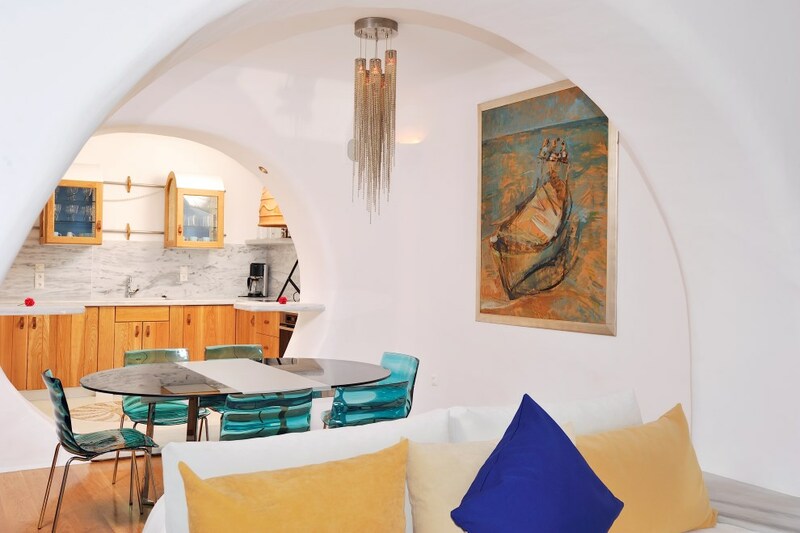 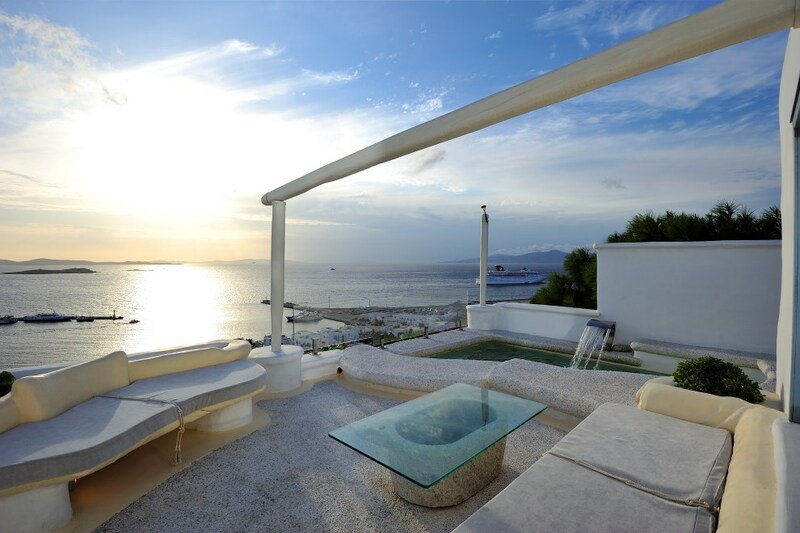 Close to beautiful Mykonos Town in an enchanting location over the old port lies the luxurious villa Oxygen. 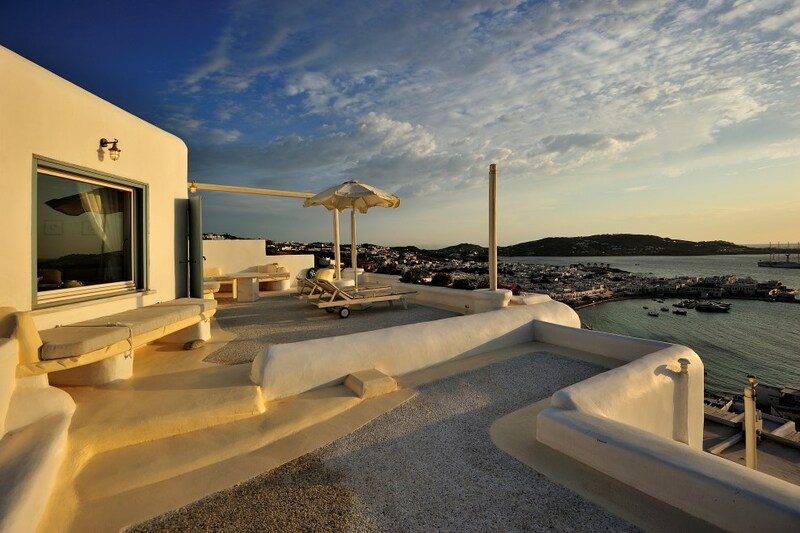 It stands enjoying the magnificent view of picturesque Mykonos Town, the ancient island of Delos, which is famous for its magical aura, and the breathtaking sunsets.The villa is built according to the traditional Cycladic architecture, as is its furniture, creating along with the light Mykonian decoration a marvellously hospitable environment. 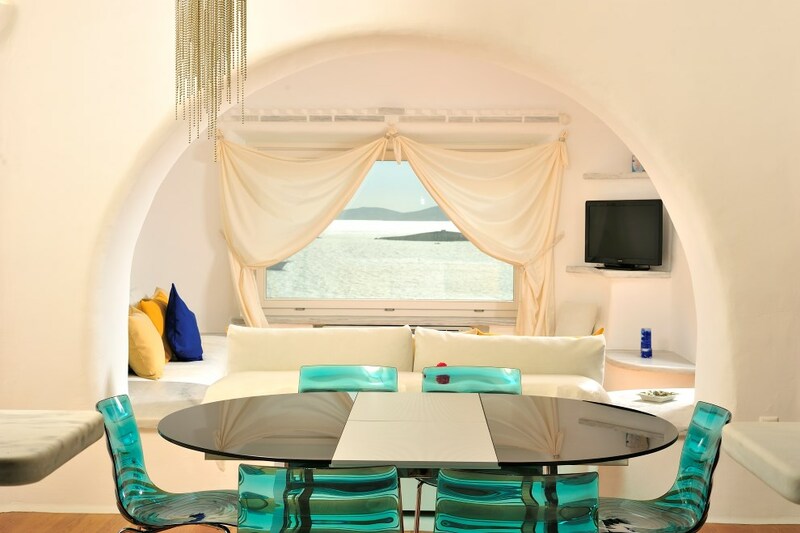 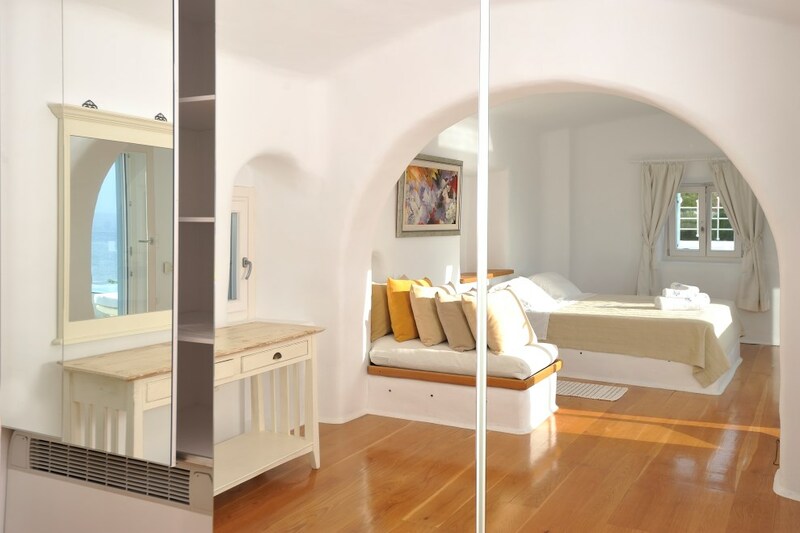 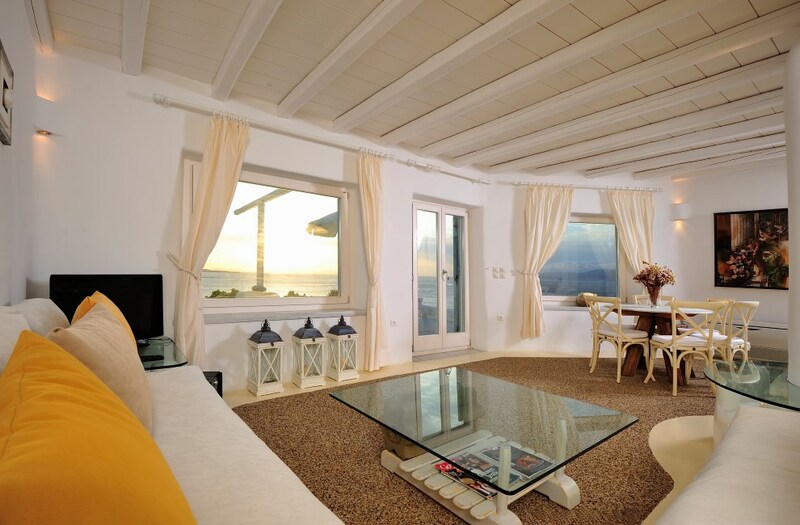 On the upstairs independent level, the beautifully decorated living area is comprised of a living room, a dining room, a bedroom and kitchenette; it enjoys the unique view through the large glass partitions complemented by the impressive veranda with an outdoor settee.Villa Oxygen is one of the few properties to let inside Mykonos Town. 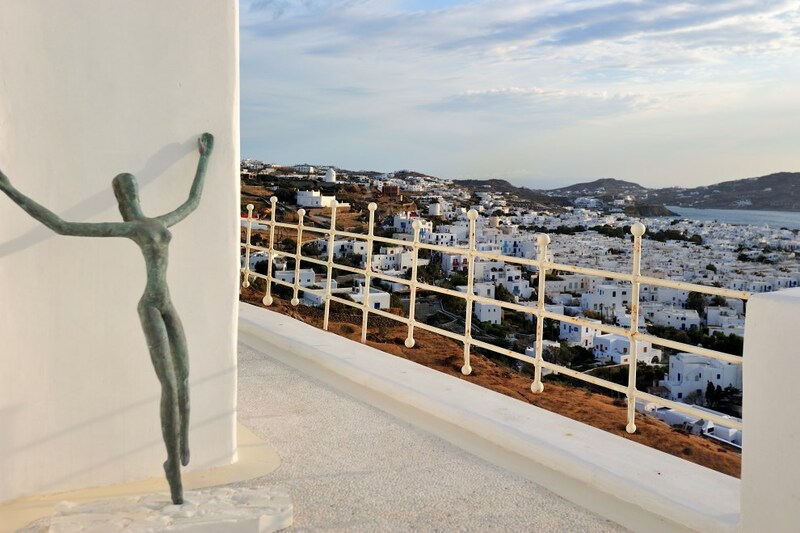 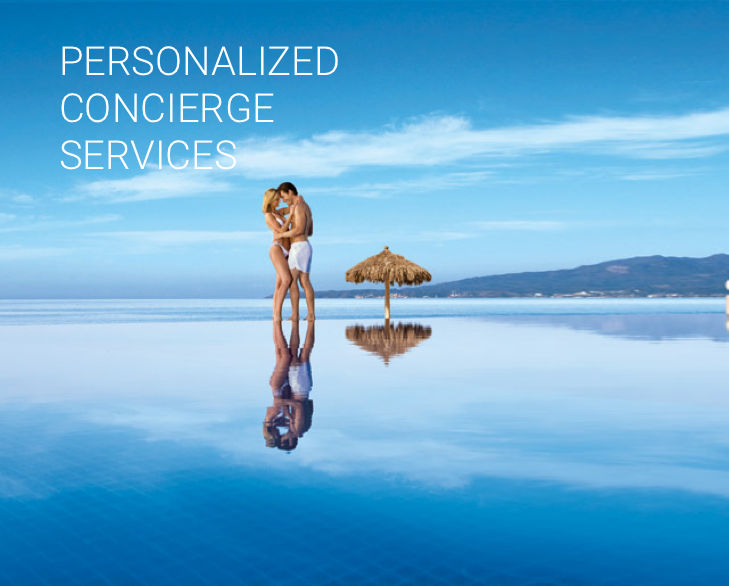 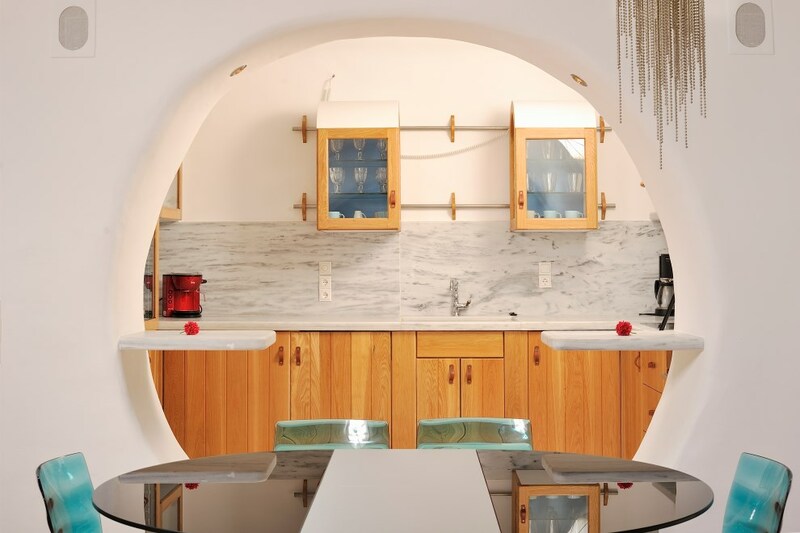 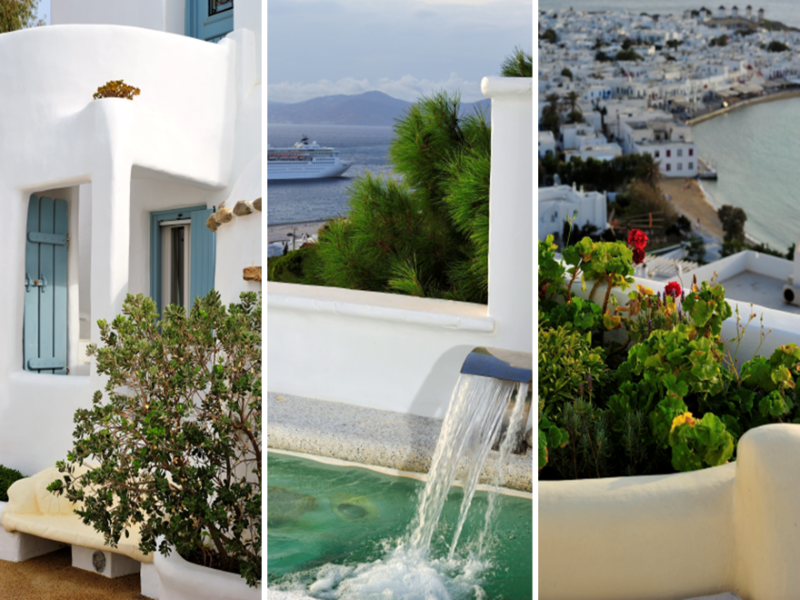 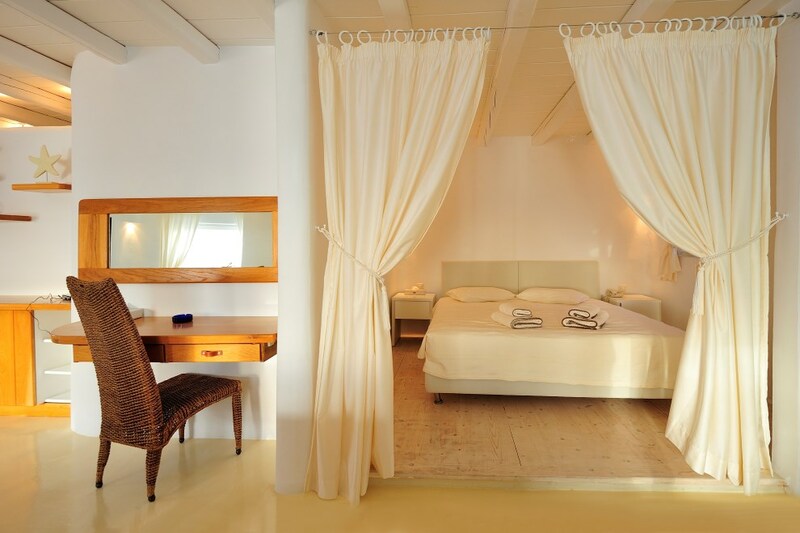 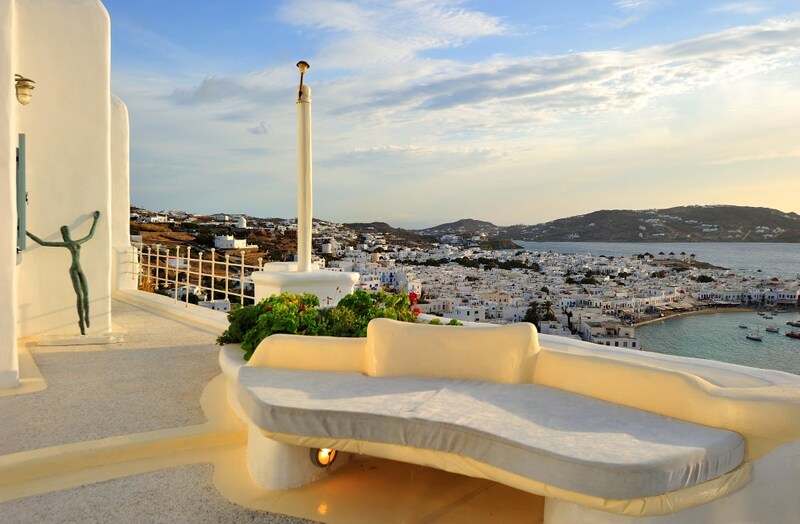 It combines the traditional element with the added luxury of being so close to the cosmopolitan and intense night life of Mykonos Town, which makes it a truly unforgettable experience.